The long, slim chrome stopper has a ribbed rubber section that ensures the bottle neck is perfectly sealed. 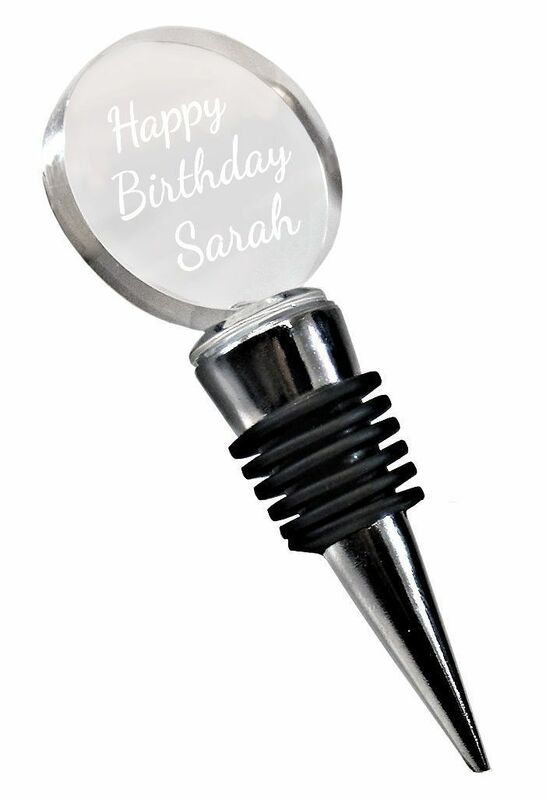 Personalised Glass & Chrome Bottle Stopper in Gift Box. 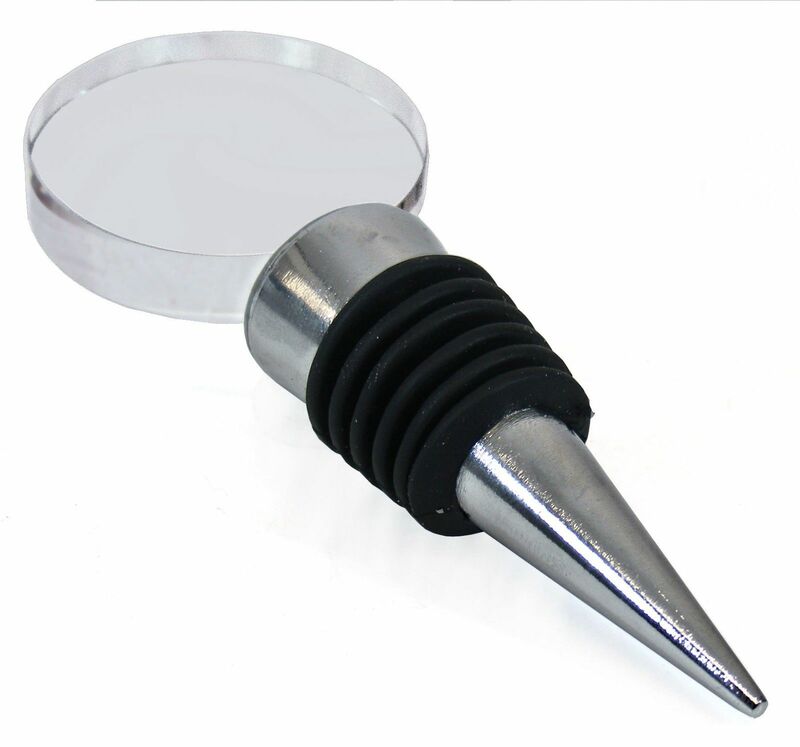 The top has a round glass disc which provides a stylish finish to such a useful item, and also ensures we can personalise your bottle stopper with any message, ensuring this is a perfect gift for any occasion. This item at widest points measures approx: L 11cm x W 3.8cm. 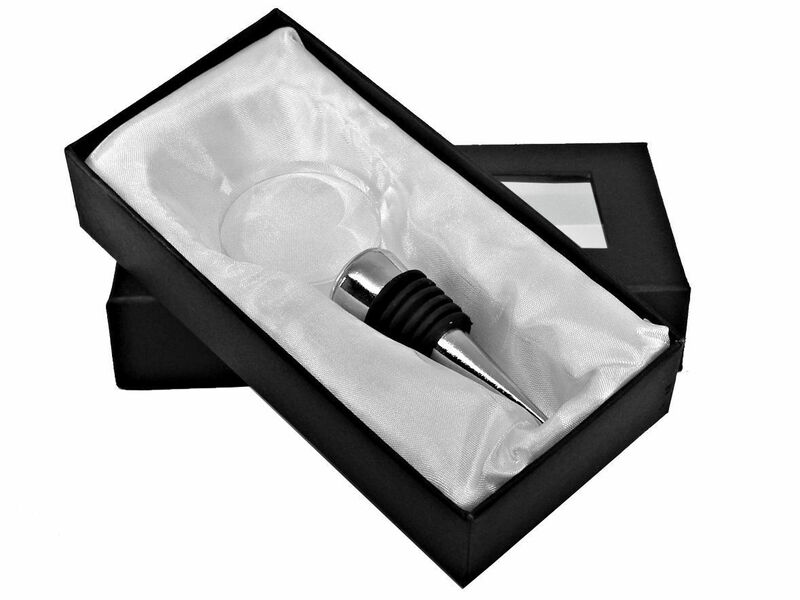 Supplied in a black gift box with white lined interior. 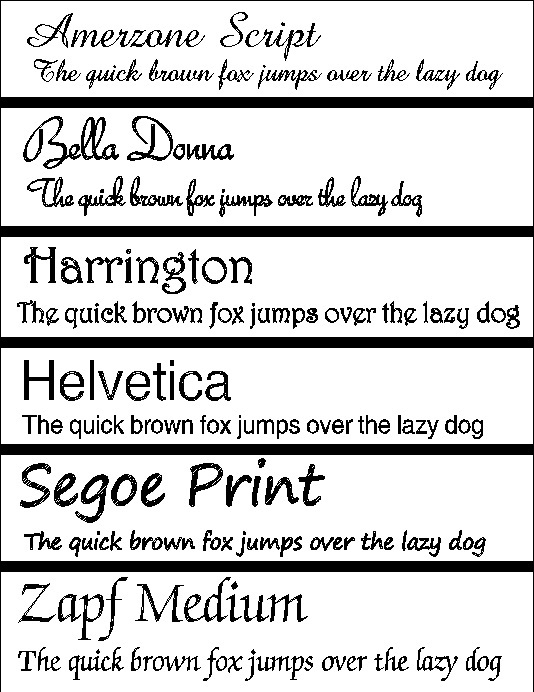 For engraving we recommend approx 44Lines, with line 1 and 4 up to 10 characters per line and lines 2 and 3 up to 15 characters per line (including spaces. A well constructed, chunky Silver Plated Bottle Opener. High Polished Finish. A highly original gift for any occasion, or a perfect way to personalise your pub or restaurant accessory with our engraving options.